A great smile can improve the quality of anyone’s life dramatically. A nice set of pearly whites is very achievable these days, especially with today’s technology and quality dental care. Brushing, flossing, and newer techniques like laser teeth whitening can all help you achieve the smile of your dreams. 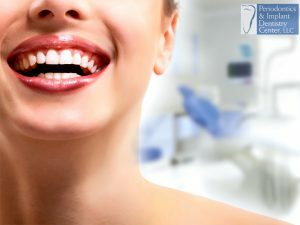 If you are seeking your best smile, you should definitely consider laser dentistry in Stamford, CT with Periodontics and Implant Dentistry Center. Having a beautiful smile is priceless, which is why we decided to create the list below that details 5 benefits of a beautiful smile. We hope this list inspires you to visit the periodontist in Fairfield County, CT.
Have you ever smiled at someone and received a smile in return? It’s a great feeling that can really brighten your mood. Smiles are contagious, and the more smiles you put out there the more you will receive in return. The world would be a much better place if everyone smiled more often. Having a great smile is something that can significantly boost your self-confidence. If you think about it, people see your teeth whenever you are talking and interacting with others. Whether it’s a job interview, a date, or a simple conversation with friends, having a beautiful smile will help you feel confident and ready to conquer any interaction. Smiling more often is known to reduce stress levels. Everyone knows what it’s like to feel stressed and the negative impact it can have on your mood and energy levels. If you have a beautiful smile, you can count on reduced stress and all of its associated benefits! People who smile are often perceived as being more trustworthy. Psychologists have even done studies that prove this statement. Everyone wants to appear trustworthy to others. Commit to good dental health habits and you will be well on your way to being perceived as a trustworthy individual. Having a beautiful smile provides a lot of benefits, but perhaps the most intriguing effect is having a better mood. Facial expressions have been known to directly influence our mood. A person’s mood is therefore likely to be aligned with their facial expressions. By smiling often, you are helping yourself stay happy and positive emotionally. Beautiful smiles provide many more benefits than the five mentioned above. If you are interested in laser dentistry in Stamford, CT to help you achieve the smile you’ve always wanted, contact Periodontics and Implant Dentistry Center today!